Phenomenal story; lackluster writing style. 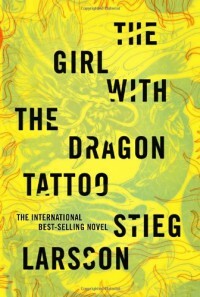 Larsson is a pop fiction novelist through and through: while his voice does not exactly reflect much skill (granted, I read a translation, but the voice carries through nonetheless), he does tell a damn good story. With an incredibly intricate plot—consisting of about a dozen central characters whose roles are of competing significance—the book was nearly impossible to put down. I read its 600 pages in about 10 hours. I'll definitely see the movie.